Picnics, beach trips, and other outdoor activities would be a whole lot better with a glass of wine on hand. Unfortunately, there's not a lot of table space in the woods, and nature's terrain is a lot bumpier than your kitchen's surfaces. 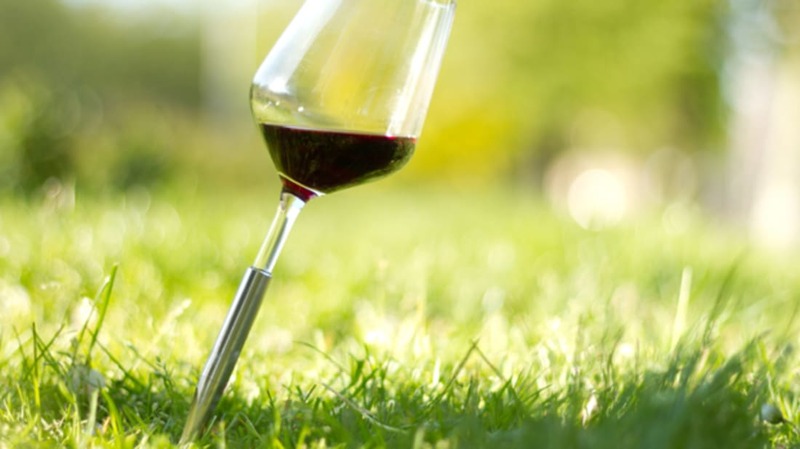 Enter: POINTER, a new wine glass that sticks into the ground. These helpful goblets are still shaped like traditional wine glasses, but instead of regular stems, feature metal pins. Drinkers can push their glasses into the dirt or sand to keep them upright, even on windy days. The Dutch-designed glasses take all the worry out of spilled wine—you can skip plastic cups on your next outing and have a truly classy picnic. The product comes from designer Ramona Enache, who ran a successful campaign on Kickstarter. You can buy a glass (or a whole bunch) on the POINTER website.